Curious if anyone can confirm whether or not a RV50 MKIII is capable of operating under a 12 ohm load. I know the manual says to use nothing other than 16 or 8 ohm total load (and am fully prepared for a snarky poster to tell me that I've already got my answer then) but I also know that countless players (myself among them) run odd and/or mismatched impedance cabs with other make/model amps for years with no problems. The consensus for every other amp I've used or read up on is that yes, mismatched impedance will effect the lifespan of your output tubes, it may have an unpredictable effect on tone, and is potentially harmful to the output transformer, but most are overbuilt well enough to handle a mismatch as severe as a full power of two off from the rating on the tap (e.g. 4 ohm load on 8 ohm tap) without any practical impact on performance or life expectancy. Which is why I was surprised to see such unequivocal language in the manual - is the RV50's OT really so much more fragile than the ones found in every other big iron amp? I'm willing to roll the dice on tone and tubes, but don't want to risk irreparable damage. Note that I'm not asking about running this setup as a one off (I'm sure nothing would blow up running 12 ohms for a few hours) but more or less permanently mating this head to two cabs, one 8 ohm and one 4 ohm. Has anyone else used a setup like this consistently for some number of years and able to confirm it works? Last edited by Callofcthulhu on Fri Feb 09, 2018 7:36 pm, edited 1 time in total. I don’t run a mis-match, but if the RV MKlll still uses Demeter transformers, I’d say they are of good quality. You’re two cabs, 16+8 ohms make a 5.33 ohm load though not 12. Orange warranty their amps, so the manual states proper operation to protect you for the warranty. Sorry, typo on my part. My cabs are 8 and 4 ohms, respectively. That makes a 2.67 ohm load if they are running parallel and that is way too much of a mis-match. To get 12 you have to know for sure they are in series together. Yes, I have a series box. A lot of amp manufacturers have now decided it's easier/safer to just say "you must match ohms". Period. No exceptions. Even on amps where they didn't use to say that, like Fender's Deluxe Reverb and Twin Reverb. 12 ohms should be fine. Most tube amps will easily handle a 1:2 or 2:1 mismatch, and your mismatch is less than that. However, in this litigious age, I take no responsibility if any damage occurs should you disobey Orange's instructions. Power handling. In parallel, cabs of different impedances don't split the amp's power equally. 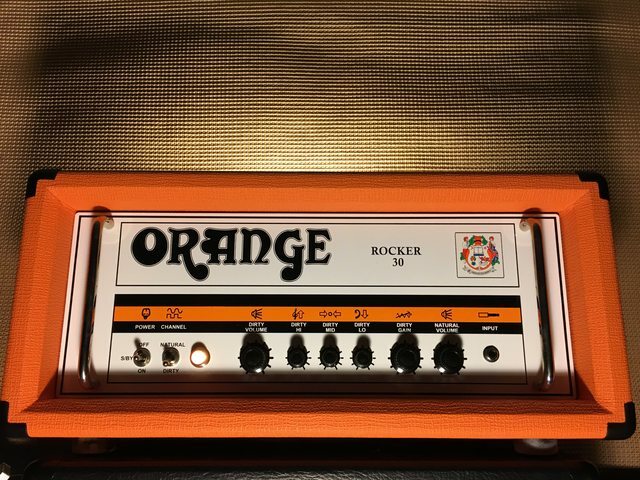 With an 8 and a 4 in parallel, the 4 ohm cab will get 2/3 of the amp's power. Not sure how that works in series. If one of your cabs has a single 25 watt speaker, it may receive more than 25 watts. And one cab may be much louder than the other, depending on how the power splits. More details about the cabs might help. Both 4x12's? Both 1x12'? What's the impedance of the individual speakers? It may be possible to rewire one or both cabs and end up with a more conventional total load. Both cabs are 2x12. One has a pair of 16 ohm 25 watt speakers, one has a pair of 8 ohm 60 watt speakers. Ah, not much luck there with impedances. Should be safe enough in regards to power handling though, no matter how the power gets distributed with them in series.